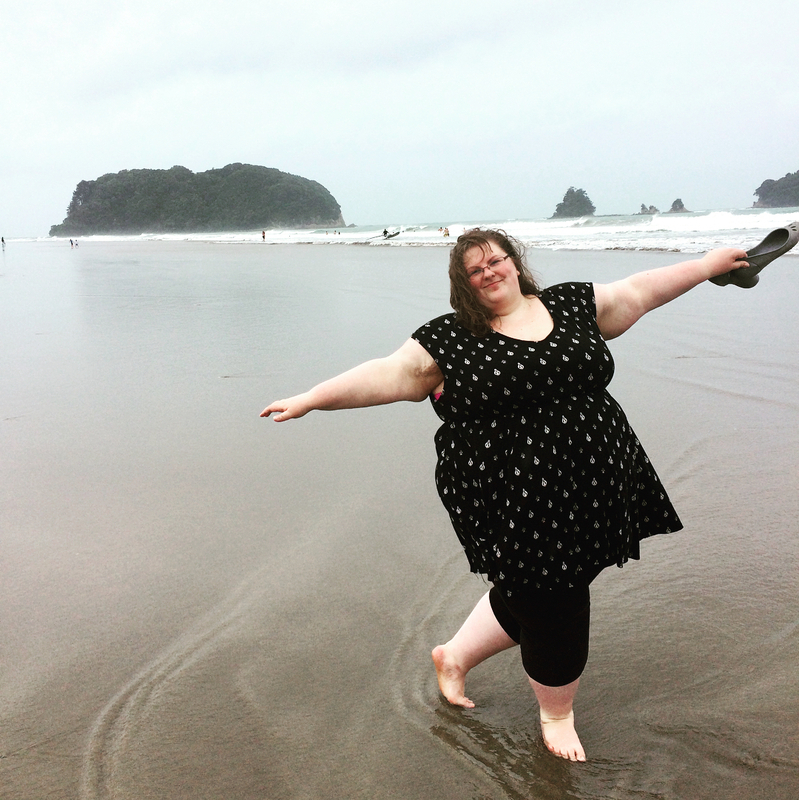 Can you imagine the World of body positivity, where all bodies are good bodies and every human can look in the mirror and think: "Oh my God, how beautiful I am!"? World, where no one care about stretchmarks or body hair, where everyone choose own way and look by himself. In that world fat girls can get as much attention as they deserves. 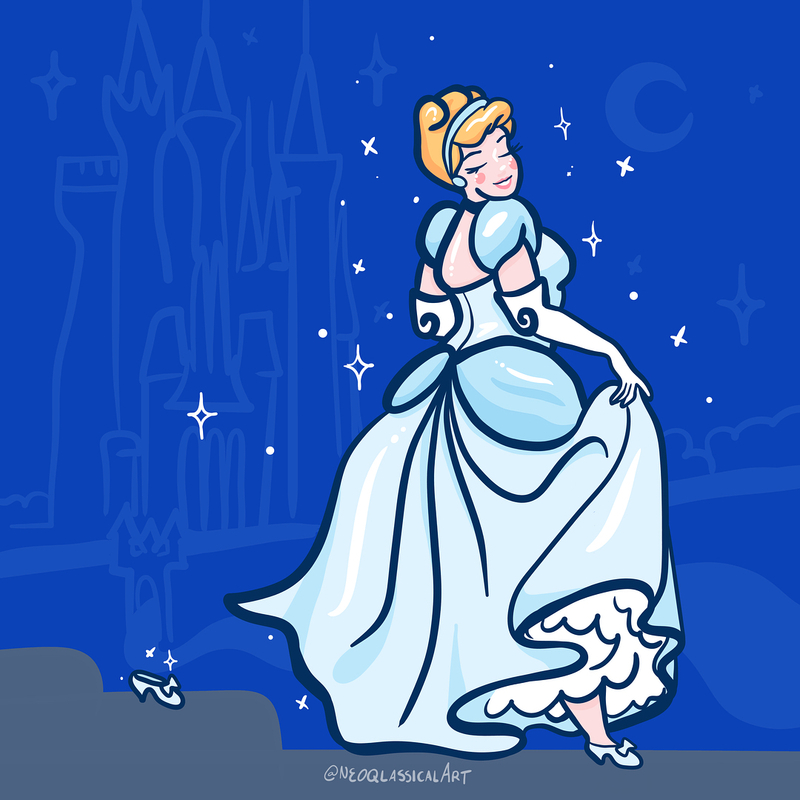 Where Disney princesses, standart of beauty and feminity can be chubby and beautiful? I found the door in that world and I proud to open this world for you, World of Crystal Procknow, chubby artist from Wisconsin, USA, also known as Neoqlassical. 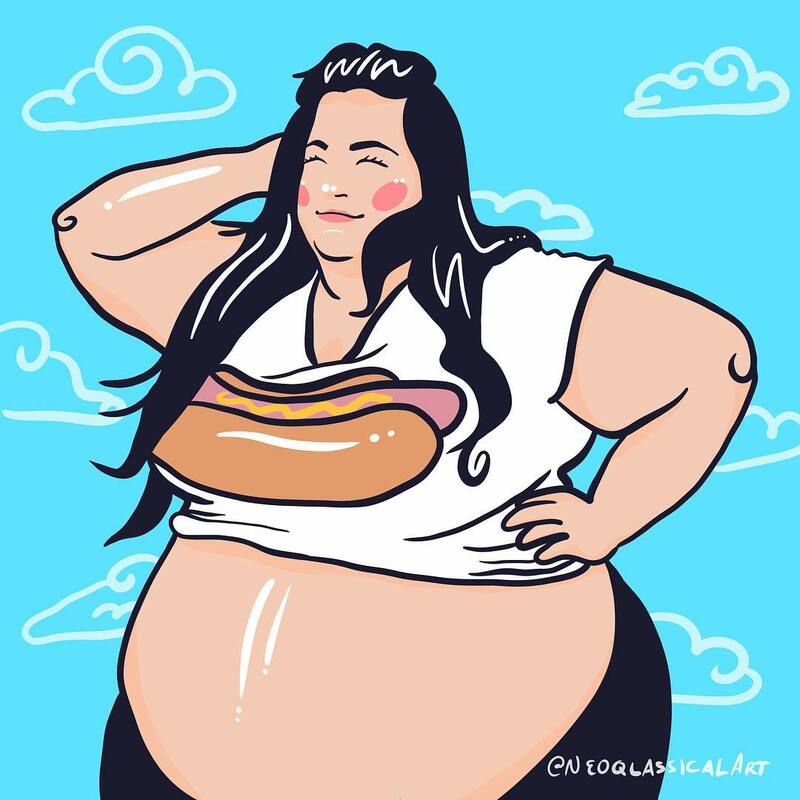 She is a creator of art series "Chubby disney princesses" and a lot of portraits of popular plussize activists and models, that you can find in her instagram: Neoqlassical. Recently we had talk about fat art and inspiration. Enjoy! Your art is pretty cool and inspiring! 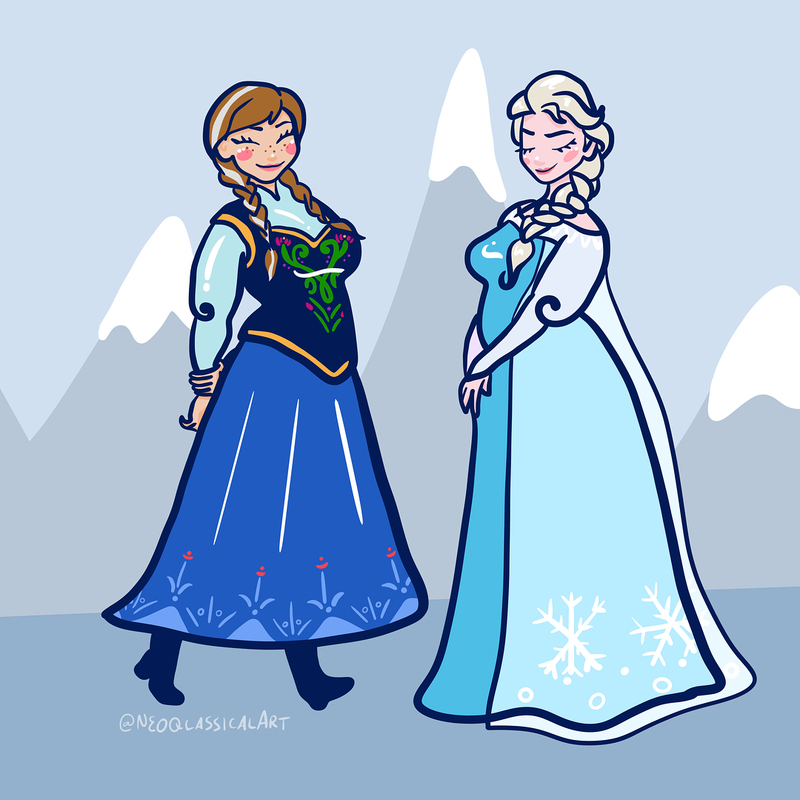 So, why you decided to draw that "Chubby disney princesses" series of artwork? Who or what was inspired you to do it? 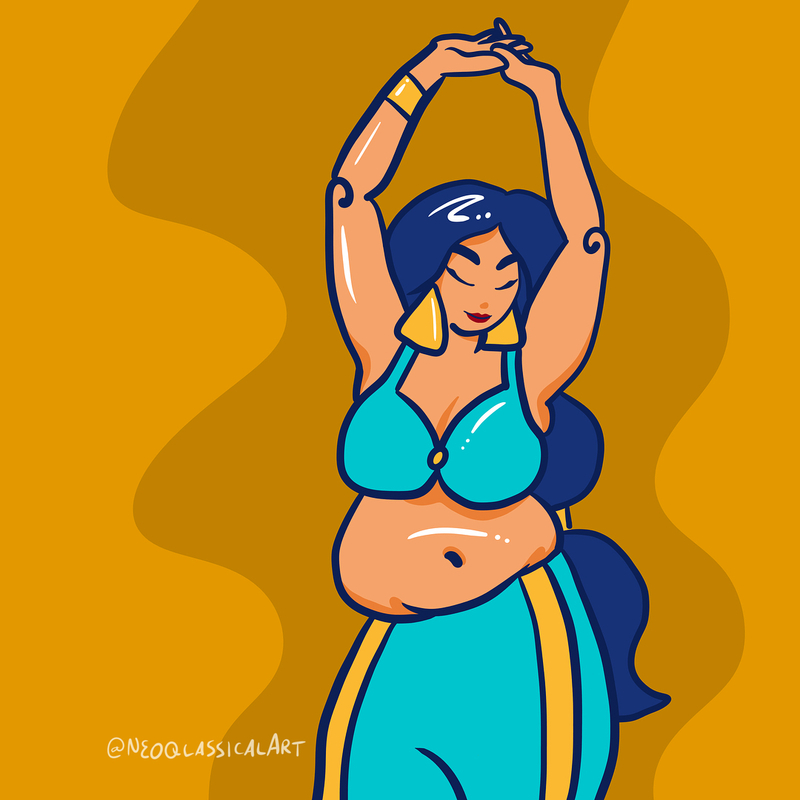 I was inspired to do the Chubby Disney Ladies after thinking about the poor plus size representation in films and television, and I wished I had seen at least one plus size Disney leading lady as a child. What message you want to say by this artwork? With my art, I want to share that what we see in mainstream media affects us. As kids, if all we see are people like us being portrayed as evil or only for jokes, it affects our self esteem and affects us far beyond childhood. A lot of people who have seen it comment that they never realized how much they needed to see this sort of representation until they saw it. 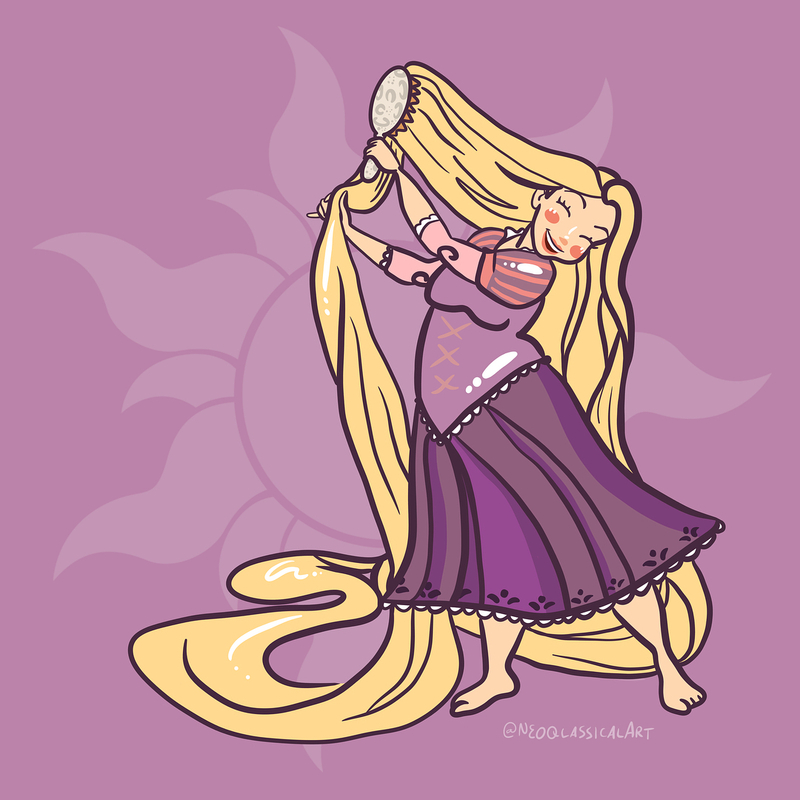 Suddenly it doesn't seem so out of place to have a chubby Disney princess. 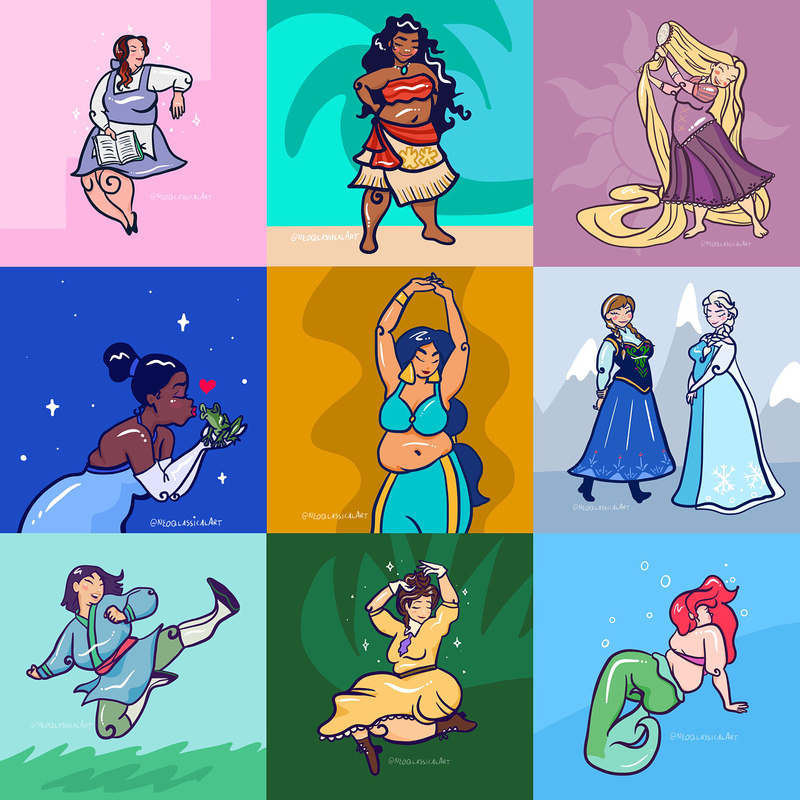 Did you already complete this series of art or we can hope to see more plussize art with disney princesses? There are still at least five drawings left to go in the series, it will likely be wrapping up in the middle of August. After it's over, I will be open to doing other characters, like superheroes or other cartoon characters, but we'll see how it goes! What is drawing for you? Why you love it? Drawing is something I've always done, ever since someone first put a crayon in my little hand I was hooked. I was a quiet kid, so I guess drawing was one of the most natural ways I felt I could express myself. And then I was always known as "The Artist" in class all through school. It was natural that I would just carry on with it after that, and I don't see myself ever quitting. 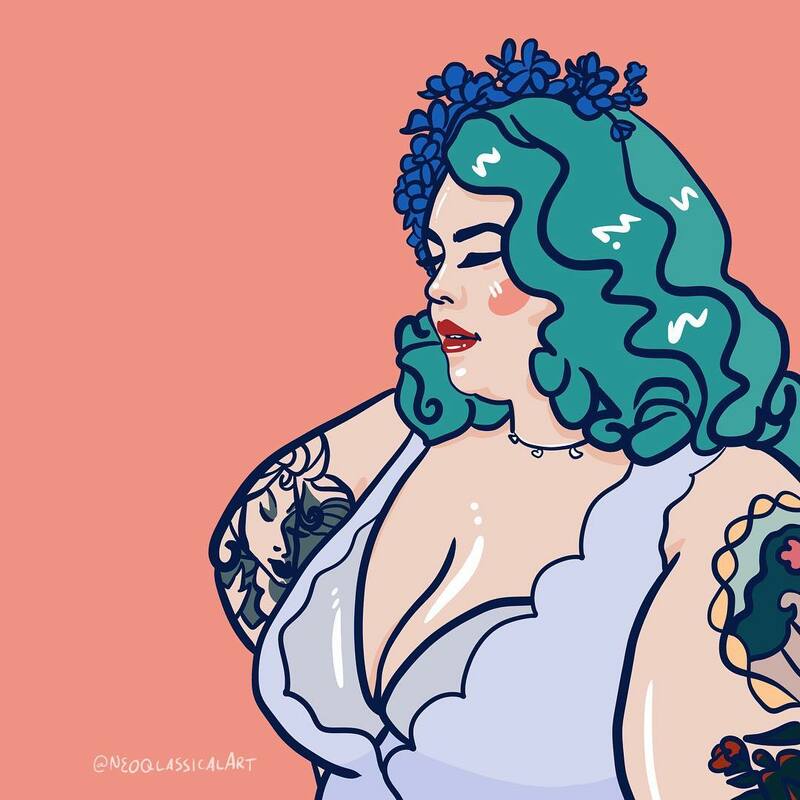 Who of plussize artists inspiring you and why? 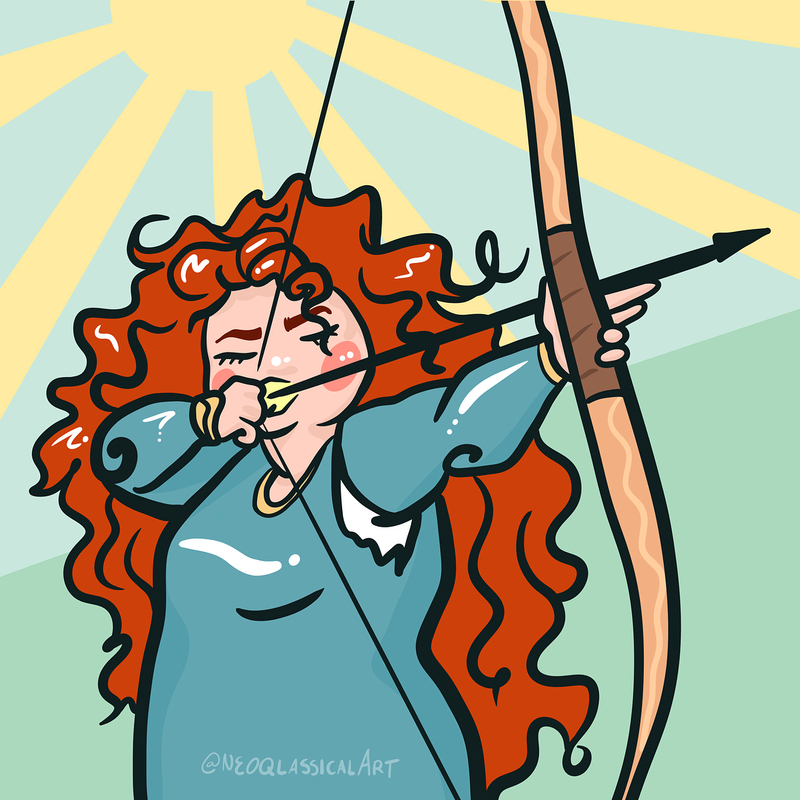 Other plus size/body positive artists I admire are a few I follow on Instagram, such as @full_of_freckles_illustrations @paramoart or @crishmaru_art as well as the photographer @shooglet … They each inspire me by showing the human form in their own unique ways, and people have always been the most interesting subject to me. I love how all bodies are different, and I love interesting facial features and different colors of skin or hair or eyes and all those things which give us such variety as a species! 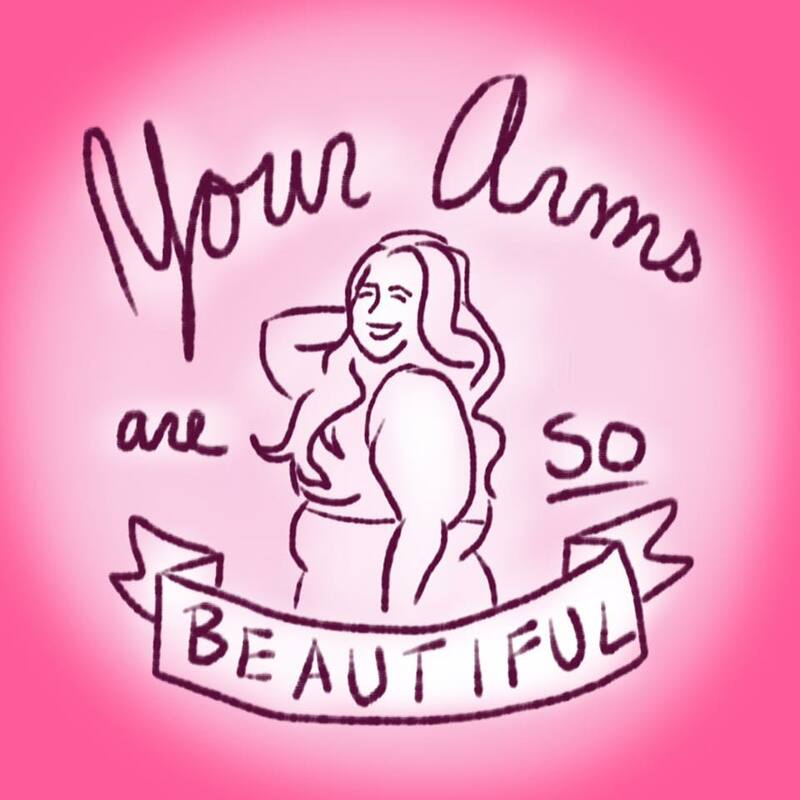 Also I saw a lot of great plussize activists on your drawings, KellyBellyOhio, Ash, Tess Holliday ect. Why you started to drawing them? What is their reactions on your art? Of course some of the people I draw are going to be those who inspire me by promoting the same cause, like @podyposipanda or @kellybellyohio or @Glitterandlazers and they're always appreciative when I do. It's one of the best feelings to be recognized by someone you look up to and admire! In Russia we have a very bad situation with fat shaming and insulting fat people. 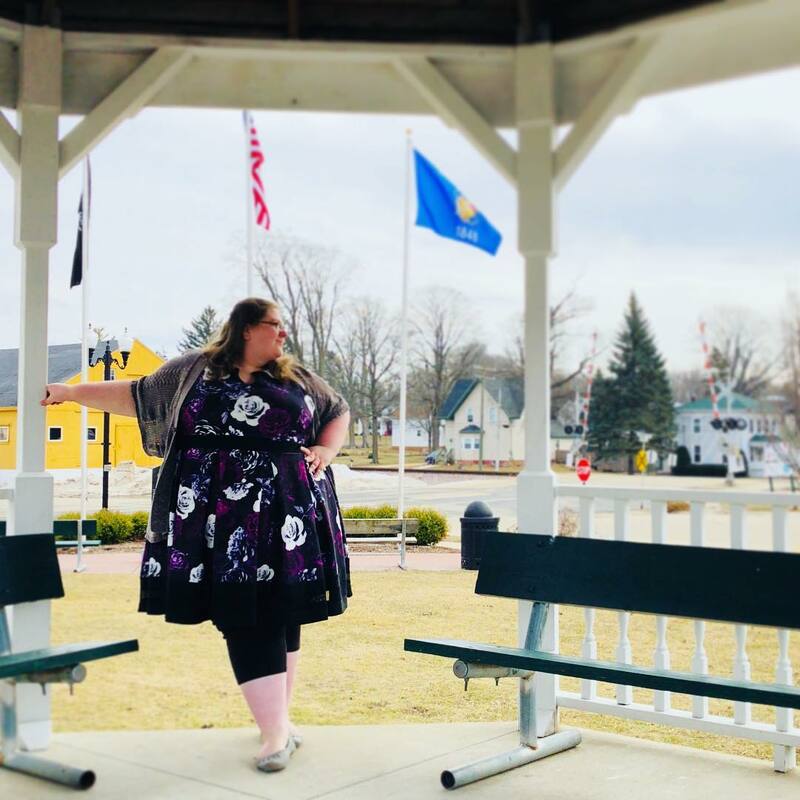 What is your advice for plus size girls to be confident about their look? Can you say something inspirational for them? 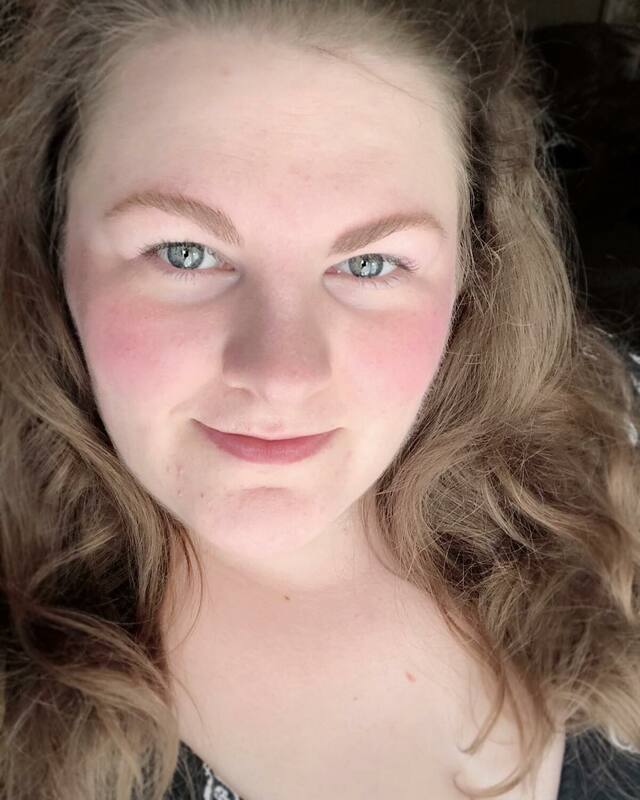 For people who are dealing with being criticized for their weight, my advice is to stay strong and be patient, because the world is changing slowly but surely for the better. Until then, try to meet hatred with kindness, and don't let what others say about you stop you from doing the things you love, because that's how hate wins. 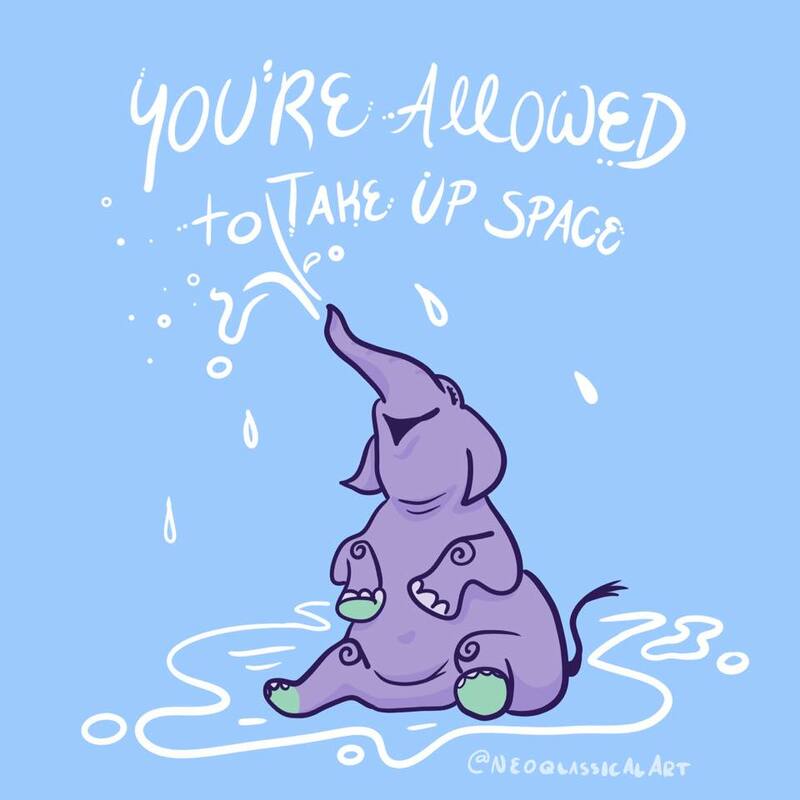 You are beautiful, and unique, and your body is worthy of respect and love. It's a really great advice! Generally I'll ignore negative feedback as much as possible, especially online, because nobody ever wins an argument on the internet (you may have noticed! haha)? 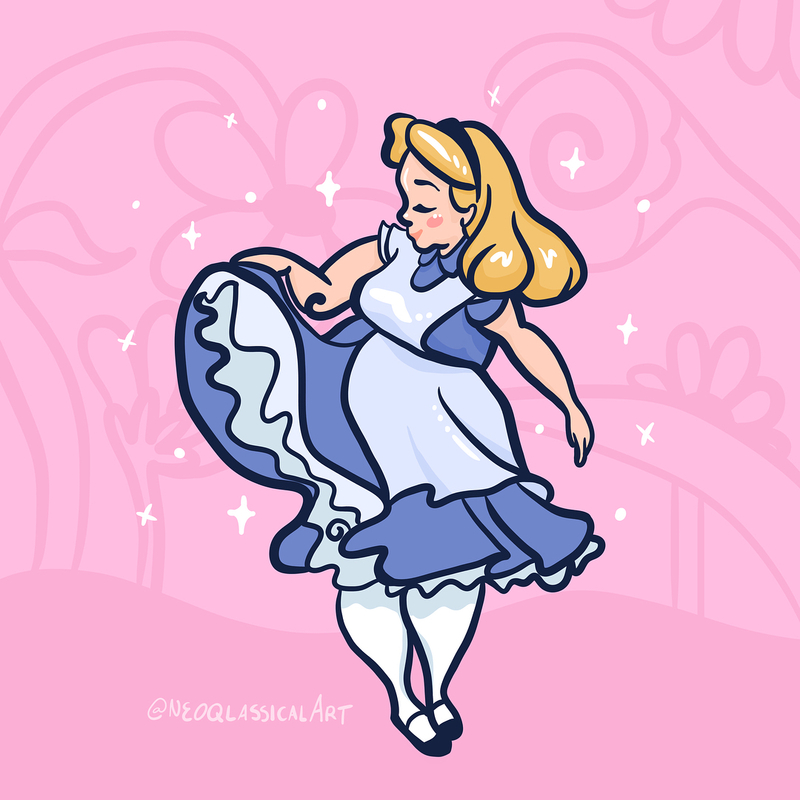 But honestly for the most part, the feedback I've heard has been positive, people genuinely love what I've making and wish that they had had characters like this when they were growing up instead of unrealistically thin representations of beauty and desirability. Also, a bit of advice… no matter what you do, people are going to pick you apart for your actions and beliefs, so just make sure that what you are saying is something your values line up with. It you're doing things that you believe in with confidence, nobody's going to be able to keep you quiet. Thanks again for reaching out to me to do this! I am really proud for making interview with you! Thank you so much! Best of luck with your new projects! Subscribe Neoqlassical's instagram to be know about her new art. Also you can buy her artwork or order her special art. 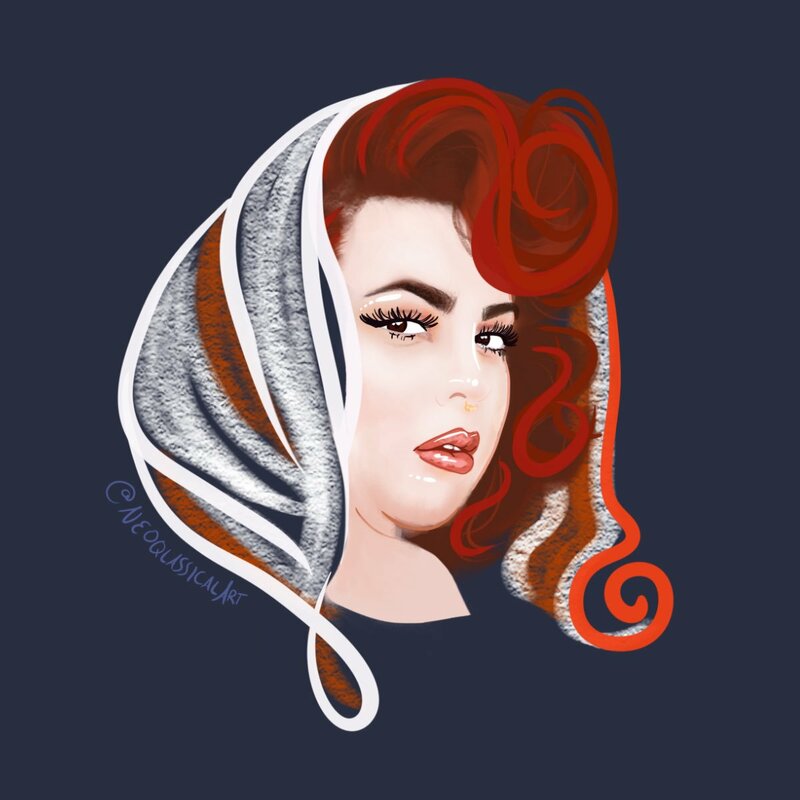 She specializing on illustration, custom portraiture, digital art and photography. ForFeed also continue our search for interesting persons in the World of Fat Beauty.